The man dubbed as the “architect of modern Singapore” is in the country to map out a master plan for the greater Suva area and Lautoka. Liu Thai Ker, together with his team, met with the Minister for Local Government, Housing and Environment, Infrastructure and Transport Parveen Bala at the Tanoa International Hotel in Nadi yesterday. Known as the “architect of modern Singapore”, the 79-year-old is the Chairman of Morrow Architects and Planners Private Limited, which has worked in 50 cities around the world, mainly in China, Saudi Arabia, Russia and even in Libya under Muammar Al Gaddafi’s rule. He also has plans to work in Africa and South America in the future. “We’ve been asked to come here to do some planning work for Fiji and this is what we are going to discuss,” he said. “I was a master planner for Singapore for more than 20 years working for Government and people that come to Singapore. The Singapore experience, he added, was something unique and not seen anywhere else in the world. 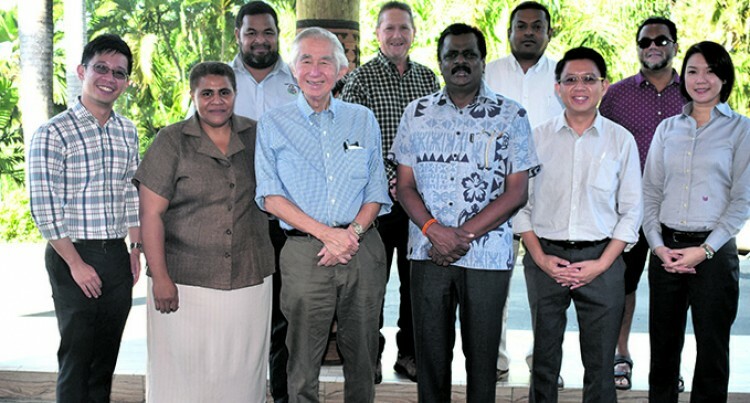 “We would like to bring this good planning to Fiji, but when compared to Singapore, Fiji has much more beautiful natural environment and I think a combination of your natural environment and some more solid, skilled master planning, I believe this make Fiji a very beautiful place,” Mr Thai Ker said. Mr Bala said Fiji hoped to gain a lot from the work from the renowned town planner. He said plans were already discussed during his visit to Singapore a few months ago and he had agreed to help the ministry with a master plan upon request. When questioned on the exercise cost, Mr Bala said it would be decided once the plans were finalised. “This is not only about town planning; it’s about housing as well. We want to have a master plan where an individual can pick up where the commercial area, industrial area and parks are. “He will be visiting town boundaries, CBD, resorts and many other areas where they will see how to do their planning, they will visit Suva, Lautoka and the greater Suva areas. “We will meet again on Wednesday where they will brief their plans to me. “I’ve been told after everything is signed works are expected to begin in five weeks’ time,” he said.